Many users have reported various problems after updating their iDevices to iOS 12. One of the most annoying problems users reported is iPhone getting stuck when trying to connect to iTunes. Solving the problem could be challenging because when iPhone is stuck, there are a very few ways to unfreeze it. This issue could occur due to many reasons. Some of the primary reasons may include error while installing the new iOS update, problem with the USB cable, corrupted iTunes-related registry files, and more. Fortunately, there are some solutions you can try in order to solve iPhone iOS12 stuck on connect to iTunes. Part 2: What If iTunes Cannot Detect Your iPhone? One of the first things you should do if your iPhone iOS12 stuck on connect to iTunes is restart the device. However, since your iPhone is stuck, it will not be possible to perform a normal restart. So, you will need to force restart your iPhone. Press the Volume Up button and quickly release it. Press the Volume Down button and quickly release it. Now press the Side button and hold it until Apple logo is shown on the screen. 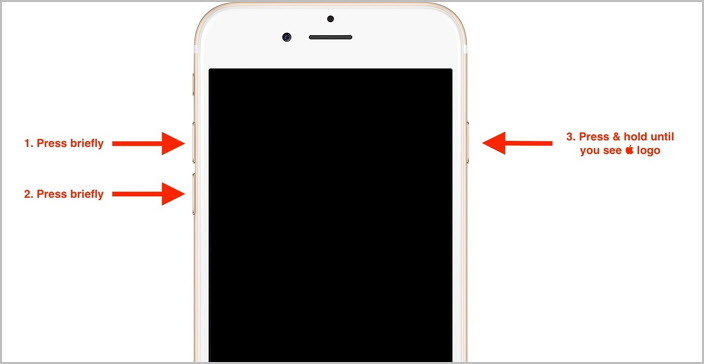 Press the Volume Down and Side buttons simultaneously and hold them until the Apple logo appears on the screen. 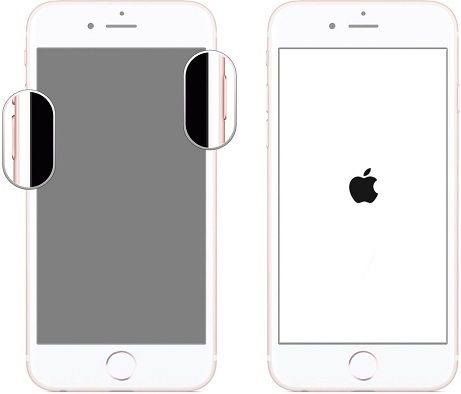 Press the Side/Top button and Home button simultaneously and hold them both for at least ten seconds until the Apple logo appears on the screen. To avoid issues such as iPhone iOS12 stuck on connect to iTunes, it is recommended that you always use the latest version of iTunes. Check the updates for your iTunes and make sure that you are using the latest version. Step 3: If there is an update available, then follow the on-screen instructions to update your iTunes. 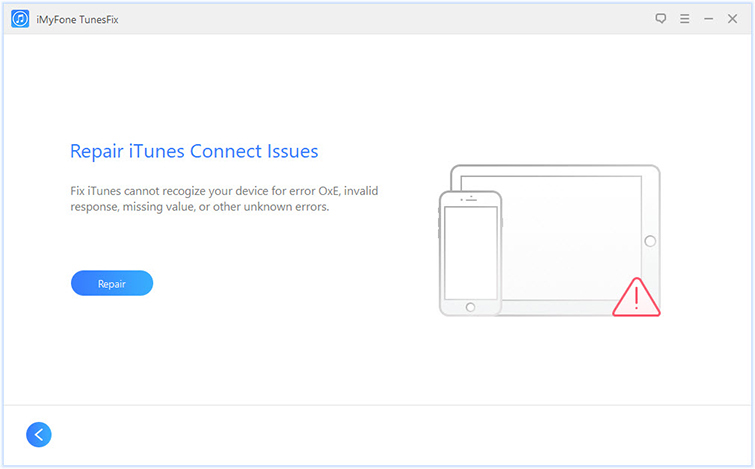 As mentioned above, if your iPhone iOS12 stuck on connect to iTunes, it may be because of an incompatible or broken USB cable. That’s why it is recommended that you use a compatible cable that came with your iPhone when you purchased it and then try to connect to iTunes. What If iTunes Cannot Detect Your iPhone? If your iTunes cannot detect iPhone at all, then you should find a reliable way to fix this issue. It is recommended that you use iMyFone TunesFix to scan your iTunes and repair the problem. TunesFix is an advanced iTunes repairing tool that is capable of fixing virtually all iTunes problems. It has an automatic scanning feature as well as several manual iTunes repair modes that will help you solve any iTunes issue quickly and conveniently. TunesFix automatically scans iTunes and prompts to repair the problem if it is detected. Several useful manual repair modes that target some common iTunes issues. You can use these modes to quickly scan for specific problems and fix them automatically. Completely uninstall iTunes with a single click. So, you no longer have to uninstall each and every component of iTunes for full uninstallation. Clean iTunes junk/temp files, free up disk space, and boost the performance of iTunes with a single click via Quick Clean or Deep Clean mode. Step 1: Launch iMyFone TunesFix on your computer. The software will start the automatic scanning process. 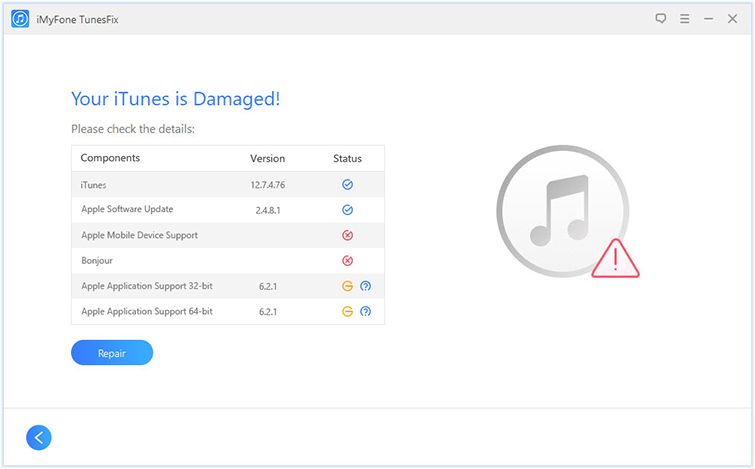 Once it completely scans iTunes, it will prompt you to repair the issue (if it is detected). Fix the issue via the Repair button. After that, the home screen of TunesFix will open. Step 2: Now select Repair iTunes Connect Issues mode from the home screen of the software. Step 3: Click on the Repair button on the next screen. TunesFix will now start the repairing process. It is recommended that you keep your internet stable during the repairing process. iPhone iOS12 stuck on connect to iTunes is an annoying issue because it could occur due to a number of reasons. It is recommended that you use iMyFone TunesFix to scan iTunes and fix the problem automatically before trying other manual methods. It is likely that the problem will be solved via TunesFix.